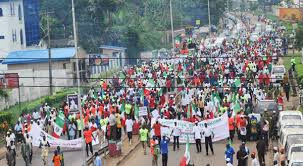 The Stand Up Nigeria (SUN) and a coalition of 50 other civil society organizations have commended Nigerian workers for shunning the strike being called upon by a faction of NLC describing it as a needless venture that was arranged to service the interest of a few minority. National Coordinator of (SUN), Comrade Philip Agbese while reacting to the outcome of the meeting between the federal government and labour, he said it is obvious that patriotic Nigerians have resolved to support the current administration deregulation policy. He said the action of the Federal Government at the first instance is in the best interest of the larger population of the people and no amount of intimidation should cow the President into submission. According to Agbese, Nigerians have since realised that a strike action is not in their best interest, adding that the anti-deregulation proponents are economic saboteurs who are working against the interest of the generality of Nigerians. He argued that subsidy only enrich a few and impoverished the larger population. According to him, the N1.2 trillion paid out as subsidy in 2015 budget, if properly invested in other sectors could have built more infrastructures and created jobs. He also commended the Trade Union Congress of Nigeria (TUC) who he said saw reasons and pulled out of the strike. According to him, more Nigerians trust the President Muhammadu Buhari administration to judiciously use the funds realised from removal of the corrupt subsidy regime to improve their welfare.